The risk of interactions between statins and other heart disease drugs in patients with heart disease can be managed or reduced. Patients need to inform healthcare providers about all medications they are currently taking and ask if any of those drugs are known to interact with their cholesterol -lowering medications. Dallas : A new scientific statement from the American Heart Association provides guidance on how to manage the drug interactions of cholesterol-lowering medications called statins with other select heart disease medications. 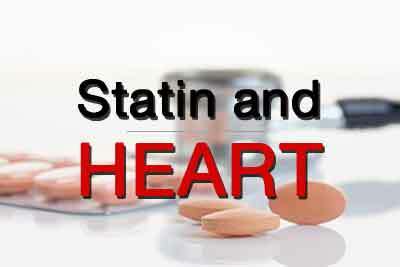 “Healthcare providers and their patients who take statins need to be aware that these medications could interact with their other heart disease medications, such as medications to control blood pressure, treat abnormal heart rhythms, and others,” said Barbara S. Wiggins, Pharm.D., chair of the writing committee of the new scientific statement published in the American Heart Association journal Circulation. “While many of these drug combinations are safe, every patient is different and will tolerate medications differently. Patients need to be aware that interactions can occur and should speak to their healthcare providers about any unusual side effects or concerns,” said Wiggins, who is a clinical pharmacy specialist in cardiology at the Medical University of South Carolina, in Charleston. Drug interactions occur when medications are combined and their interaction alters the effect of one or both drugs, either by enhancing or decreasing the effect of the drug. An estimated 2.8 percent of all hospital admissions are attributed to drug interactions, but that number could be higher because medication-related issues are often reported as adverse drug reactions and underlying conditions (e.g., thyroid disease, rheumatologic disease) may disguise drug interactions. Statins are prescribed to patients with hardening of the arteries, or atherosclerosis, and those at high risk for developing atherosclerosis, making it likely that statins will be prescribed in combination with other heart disease medications. The writing committee of the new scientific statement examined combinations of these drugs for potential interactions, and also highlighted changes needed in the labeling of some statin drugs with respect to drug interactions since they were initially placed on the market. calcium channel blockers, commonly used to treat high blood pressure. The statement identifies specific doses at which certain heart disease medications can be used safely with statins as well as the combinations of statins and certain cardiac medications that may be potentially harmful. According to the statement, healthcare providers should be knowledgeable about the dose limits and adverse effects associated with these drug interactions to minimize the risk of adverse effects. Patients and healthcare providers need to identify and review all medications that statin-treated patients are taking at each visit and during transitions of care so that drug interactions can be identified early, evaluated and managed appropriately by implementing dosage adjustments, changing to a safer statin medication or discontinuing the interacting medication if needed. Co-authors are Joseph J. Saseen, Pharm.D. ; Robert Lee Page II, Pharm.D., M.S.P.H. ; Brent N. Reed, Pharm.D. ; Kevin Sneed, Pharm.D. ; John B. Kostis, M.D. ; David Lanfear, M.D. ; Salim Virani, M.D. ; and Pamela B. Morris, M.D. Author disclosures are on the manuscript.